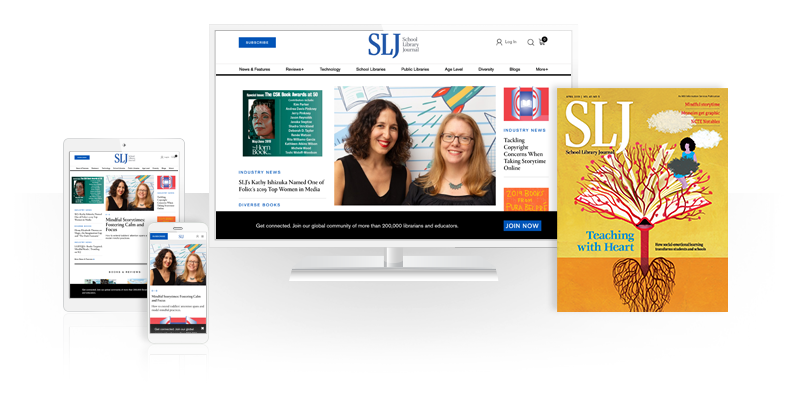 School Library Journal School Library Journal | Dedicated Middle School Collections in the Public Library: A New Trend? 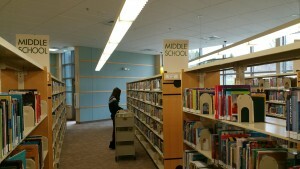 School Library Journal | Dedicated Middle School Collections in the Public Library: A New Trend? Abingdon Branch, Harford County Public Library, which has had a dedicated middle school collection since the 1970s. Statistics prove that the hard work is worth it: circulation goes up when books are shelved in focused age/grade range collections. Middle schoolers seem to appreciate not having to browse through the general juvenile collection and value having a specialized collection that shows a strong commitment to their reading tastes. A middle school collection helps kids find the books that their friends are reading. It also gives these readers a little more trust with more serious content, making them feel respected. While public libraries that have recently established these targeted collections may think they're ahead of the curve, a library in Belcamp, MD, has had a robust middle school collection since the 1970s. The Harford County Public Library's middle school collection was started by the former coordinator of children's services, the late Francis Sedney. She believed that “every child was important and deserved the best library services that could be provided,” and this included collections that catered to specific age groups. Their middle school collection is shelved within their youth department, which serves children up to age 14. The middle school collection reflects the needs of their tween patrons in grades six to eight. Jennifer Ralston, the materials management administrator since 1995, agrees with Sedney's vision. Each collection is indicated with age appropriate decorations, which helps identify the sections and gives the tween readers a sense of ownership of the space. The librarians don't monitor who uses each collection, but because it's been established for so long, parents know what content to expect in each section, which helps deter challenges, explains Ralston. With the exception of a few classics like Tom Sawyer, titles are not typically shelved in multiple collections and Ralston has no problem with splitting up series between multiple sections. Characters in a long-running series often grow and change as the series goes on. “Progression in the books is mirrored within the collections,” says Ralston. Until the 1990s, the librarians at the Harford County Library read every single title before placing it in a collection. In 2008, the Harford County Public Library increased their services to middle school readers by separating middle grade nonfiction. In a procedural document about the change, Ralston explained that “[The middle school fiction collection] has served us well over the years. We have not made this same acknowledgment in terms of our nonfiction collection, and it makes sense that we do so.” The general juvenile nonfiction collection serves children up to age 14 and is curated for homework and curriculum support, but the specialized collection for middle schoolers focuses more on high-interest subjects and includes books on sensitive and timely issues. Up until the mid-1990s, selectors at the Harford County Public Library read every single book that came into the library before deciding into which collection to place it. In more recent years, selectors have moved to a more common practice of relying on reviews for initial collection decisions. They look at content as well as age recommendations. Their selection preferences go to books that have a middle grade protagonist, but they weigh more heavily the subject matter and themes presented. The guidelines at Harford County Public Library are not steadfast by any means. Ralston advises that the most important factor is knowing your community and its needs before identifying parameters for your collection. If your middle grade members are constantly getting their books from the YA collection, perhaps you’d like to shelve some of the age-appropriate titles in your middle school collection. If your readers don’t mind “reading down” (i.e., books with younger protagonists), you can include those books with characters in fifth or sixth grade. Many selectors hope publishers continue to respond to the trend, noting titles appropriate and appealing for this age group, thus minimizing the guessing game. Cannot tell you how happy it makes me to see this! As someone who has worked with middle schoolers for several years, I know the challenge is real. Publishers, there's definitely a niche to fill here, particularly in the 7th and 8th grade range. Here's hoping this 'trend' continues to grow and thrive! As a veteran middle school librarian who has worked in several middle schools, I do not consider the commentary of this article to be revolutionary. Actual school librarians who work with middle school students have, for many, many years, faced and conquered the challenges of developing and managing a collection for grades 6-8, a developmental period during which there is a staggering amount of change in only a few years. As such, middle school librarians in school libraries should be awarded due credit for their hard work in meeting the needs of this unique population with its spectrum of characteristics from the first day of 6th grade to the last day of 8th grade. As mentioned, publishing does not cater to this population. However, our school collections can be upwards of 20,000 volumes specifically for middle school students; we've clearly worked around the industry model. Perhaps public libraries could look to school libraries as partners in this work. I was really surprised to see that this is a "new trend". My library has had a pre-teen section for many years. The books are different from the younger kids as well as teen, so logically they need their own area. It's also the most-used area in our library, behind the adult area. I thought "Middle Grade Books" were aimed at 4th - 6th grade? How do kids find something new? Something challenging? How do we find space for all these different levels of fiction...and when do kids move from one to the other? Teaching the skills to find a good book and know what you want to read seems like a much better idea. We're already hand-holding for so many things.